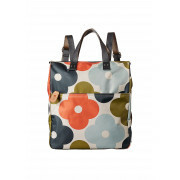 Quirky and simply chic from Orla Kiely, this backpack is accented with classic branded giant flower spot print in a canvas fabric and is perfect for those on the go. 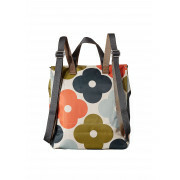 This roomy carrier is featured with a zipped front pouch and has canvas top handles and double adjustable straps. 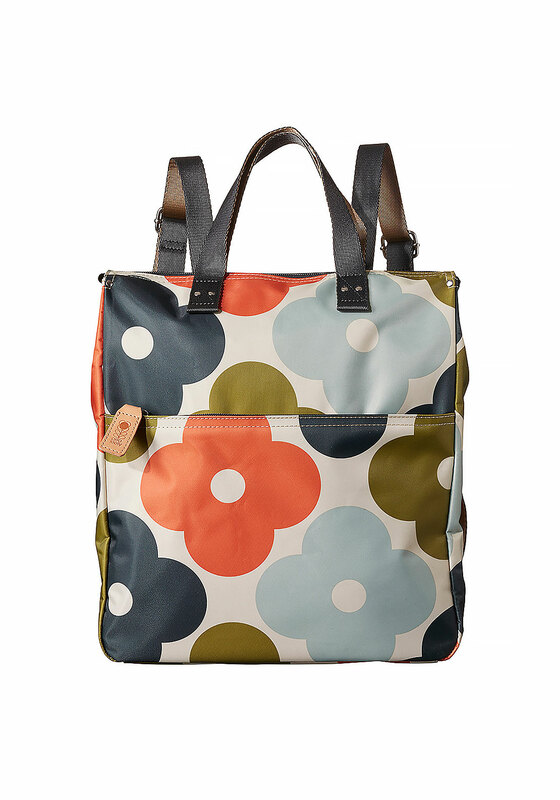 It is finished with leather trimming on the zip tags and would make a great uni bag.